There are several ways you can boost your home’s curb appeal: landscaping, new siding, or replacement windows, among others. Nonetheless, there is one part of your home that impacts curb appeal significantly: your roof. If you can only do one home improvement project this year, make it a roof replacement. It can make your indoors more comfortable, improve energy efficiency, and boost curb appeal tenfold. Peak Roofing Contractors is proud to be one of the few Northern Virginia roofing contractors certified by GAF to install their roofing products. From traditional three-tab shingle replacements to complete roofing systems, there’s a GAF product that is sure to boost your home’s curb appeal. If you’re after the authentic wood-shake or slate look that will perfectly complement traditional architecture, then GAF’s Ultra-Premium Lifetime Designer Shingles are a perfect choice. If you’re looking into roofing a bigger-than-usual home but still want to give it an authentic touch, the more affordable Value Collection Lifetime Designer Shingles are the ideal fit. The top-selling shingles in North America makes for the perfect Virginia roofing material choice. It’s not just the proven excellent performance, but it’s the looks, as well. This is the preference of many homeowners in the country today. 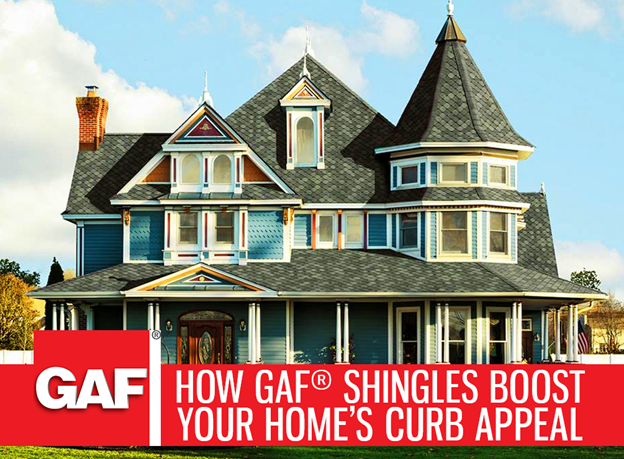 GAF also offers shingles with special energy-efficient features. They include the ability to reflect sunlight that would otherwise cause unwanted heat build-up in the attic. These shingles are ENERGY STAR® certified and rated by the Cool Roof Rating Council (CRRC). Traditional three-tab shingles are a great option for increasing your home’s curb appeal. GAF’s Royal Sovereign® Shingles are different and could just be the most beautiful strip shingles that can be installed on your roofing in Northern Virginia. If you would like more information on GAF’s full line of roofing products, call us today at (703) 745-5153. You may also fill out our contact form.